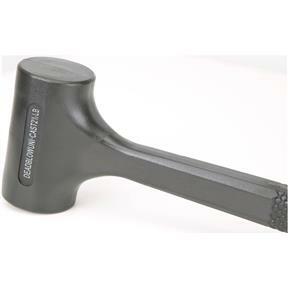 A hefty loading of heavy lead shot in the head of this dead blow mallet provides exceptional punch and power, without the recoil of traditional sledges. Available in your choice of five weights and sizes, these mallets are finished in a soft rubber coating which minimizes the chance of marring your work. Great for coaxing tight joints, setting plugs or other chores that require plenty of power, combined with a delicate touch. 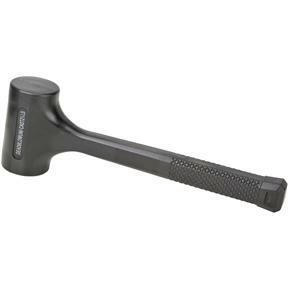 Mallet handles are tapered and checkered for a sure and comfortable grip. Colors may vary.